Baking comes in many forms for different people. For some, it presents itself as a yearly birthday cake; dusting off flour from the back of the cupboard and grumbling about who hid the cake tins. For others it’s a job; weighing, precision and timely execution. For most, it is about impulse; an offer on luxury chocolate that suggests a weighty ganache to be slicked over a chocolate cake; a desire to recreate a bake nibbled at in a cafe; or even a glimpse of a magazine (this month’s Good Food for example) that winks a rainbow cake from its shining cover, suggestively saying “oooh, bake me”. Ok, that last bit was weird. But it’s true. Impulse is what drives me to bake 95% of the time (the other 5% for bake sales and occasions).Yet I’ve managed to go two weeks without blogging and despite an aching inside of me to post, no words, recipes or ideas have sprung forth from my fingertips. I’ve beendreaming up unrealistic plans of productivity but when the 6am alarm chimes a chance to catch the early blog post, I roll over and press snooze. Such is life. I’m not a blogger who sticks to schedules. All the best ones do; they announce they are going on holiday and pre-live three posts and leave an automated comment-response message. They post regimentally on certain days of the week. They have moleskins filled with ideas and notes and tweaks. I have a big pad I rip shopping notes out of, attempt to remember recipes in my head and never ever post with any semblance of regularly. Does that make me a bad blogger? These scones are a lesson in patience. Not that they took long to make or are particularly difficult, but that it has taken me the full week to blog them. And that is ok. I could have rushed; photographed fuzzy, distorted photos and bashed up a post about cleaning the bathroom and linking the bleach bottle in some banal way to the colour of blueberries. But I think its best we don’t talk about bleach scones. Euughhh. 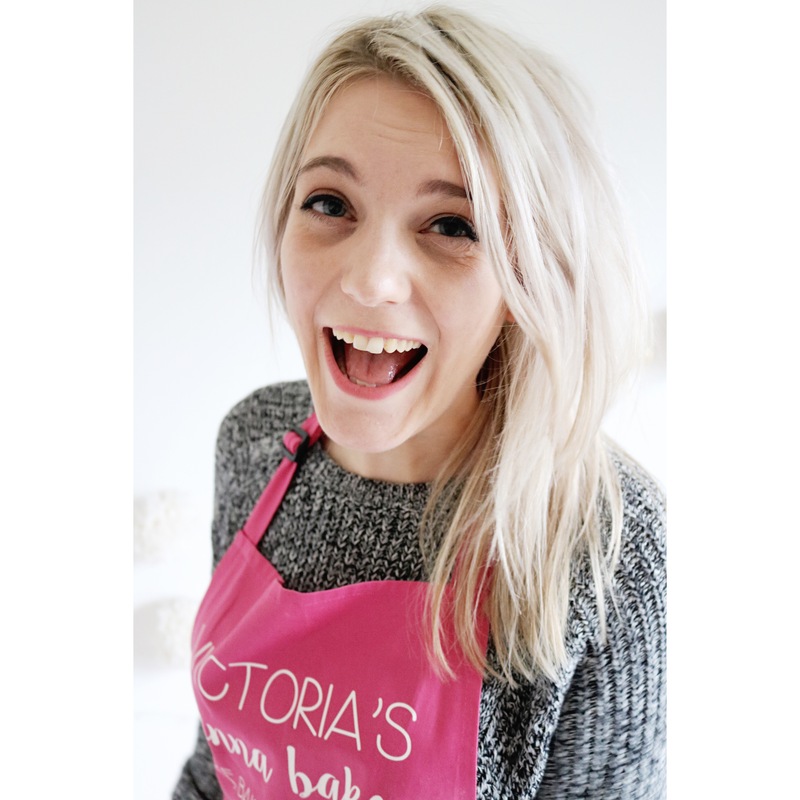 No, my name is Victoria Sponge Pease Pudding and I am an impulse baker/blogger. 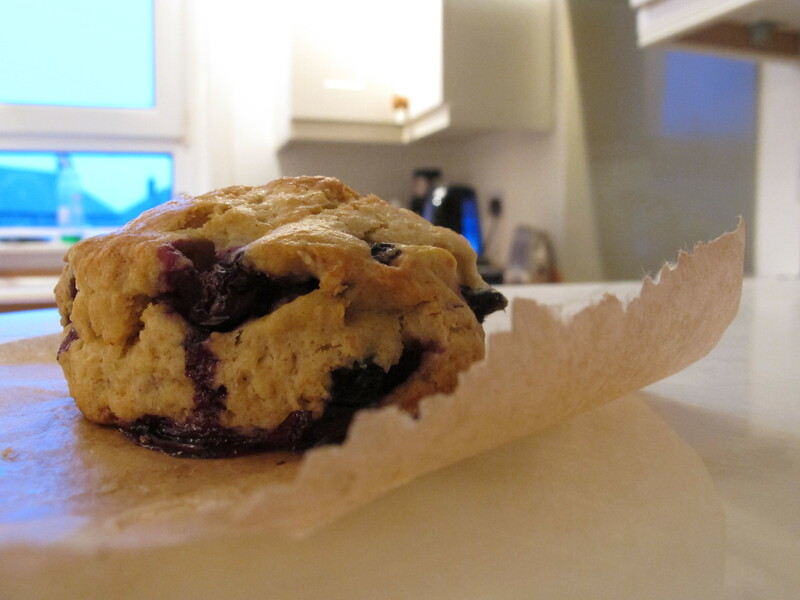 These scones were a week long blogging project, but by Friday they are firmly in a corner of the internet that is all the better for imposing some restraint. Blogging lessons yo. Preheat an oven to 200oc/180oc fan/Gas Mark 6. Line a baking sheet with baking parchment and set aside. In a large bowl, whisk together the flour, salt, bicarbonate of soda, baking powder and nutmeg. 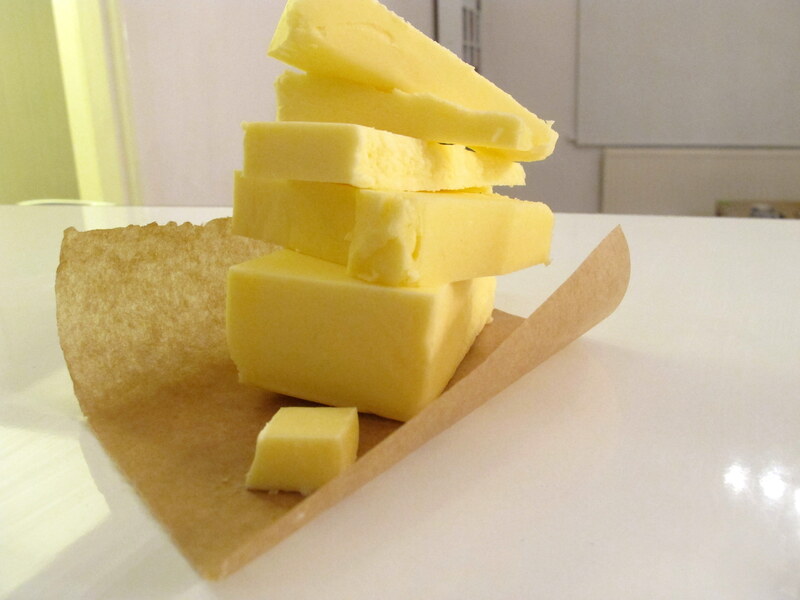 Rub in the butter, moving the fat between your fingertips with your thumbs. Repeat until the mix resembles breadcrumbs, with the butter roughly the size of peas. Lightly whisk together the egg, honey and buttermilk and add all at once to the dry mix. 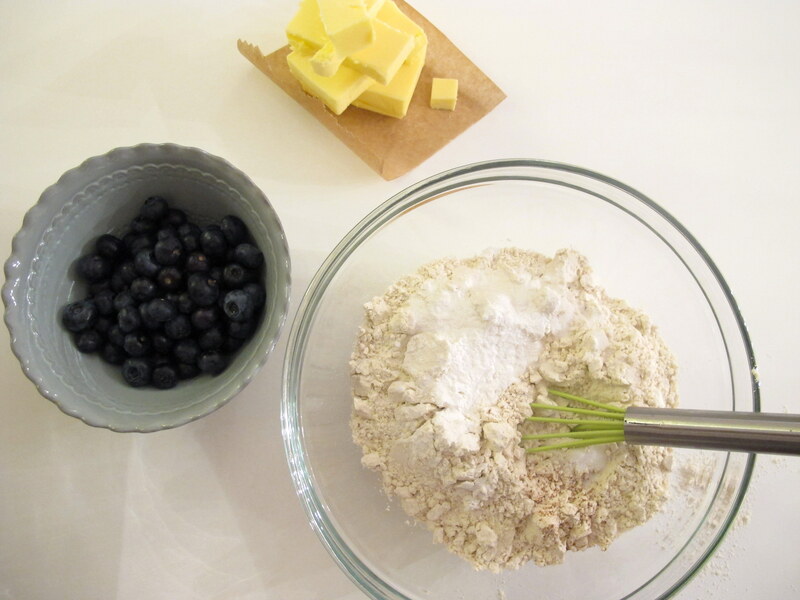 Stir through to form a soft, shaggy dough then fold through the blueberries. Tip onto a floured work surface and lightly knead to a smooth-ish dough. Take care not to crush the berries too much at this stage, as they will make the dough wetter. Roll out to a 1 inch thickness and cut out with 2 inch sized round cutters. 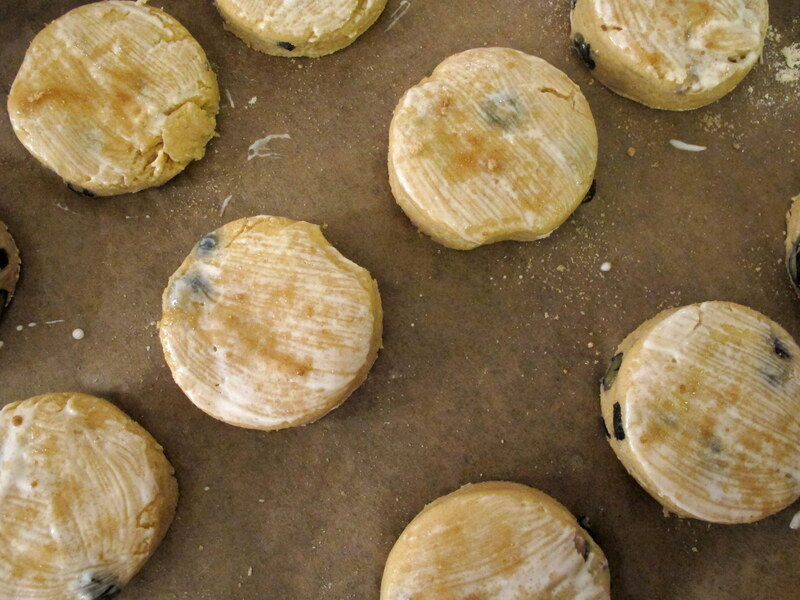 Roll and repeat with scraps until you have 12-13 scones. Brush with buttermilk and top with a sprinkling of brown sugar then bake for 15-18 minutes until golden. Serve warm with blueberry jam, butter or nothing at all. Add a hefty black coffee for a sunshine spring breakfast. I do bake on impulse but I also love to plan things in, sometimes dreaming up things to bake in my sleep! I’m glad you decided to make these – they look gorgeous! Ooh i love the brainstorming sessions (I’ve a thing for mindmaps) but the majority of the time a recipe i try is what takes my fancy in the moment. I admire your dedication to posting but the grey nights are so bad atm my pictures are struggling to stay sharp 🙁 hurry up summer! I have been having a huge blueberry craving lately but, alas, Rome does not yet have any fresh blueberries (other than imported ones from Chile that are so expensive that all day-dreaming about blueberry muffins, or scones, or a breakfast of greek yoghurt with blueberries and maple syrup quickly stops). 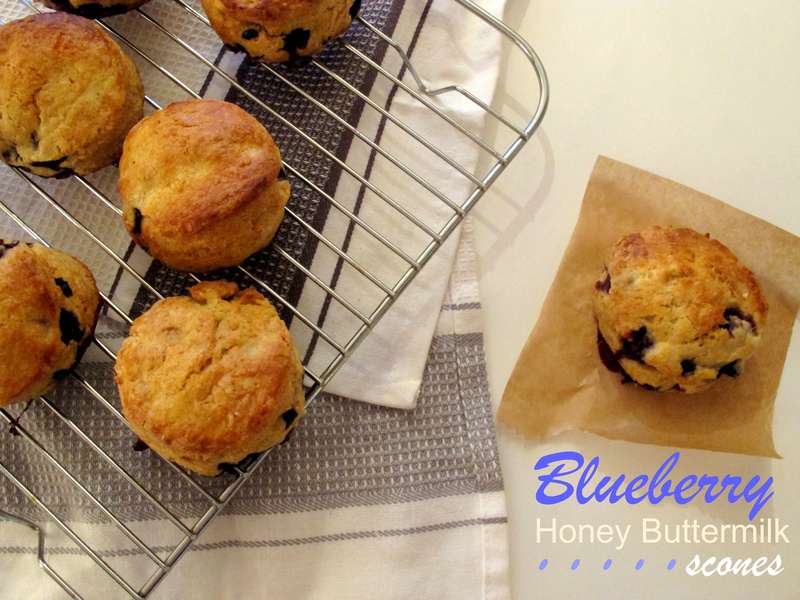 If I had access to any fresh blueberries, these scones sound wonderful – Joy the Baker posted similar ones the other day and I love the idea of folding fresh fruit into the dough and having these little bursts of tangy fruit when you bite into the scones. As for the blogging … I definitely don’t have a schedule either yet, it’s tough with unpredictable working hours and lots of travel. I try to post once a week, but don’t sweat it if it doesn’t happen – I’d rather post recipes that work and pictures I like than just getting content up on the site for the sake of regular posting. These are actually from her recipe just tweaked a little – there’s a link at the beginning of the recipe 🙂 I added honey to tone down the rich maple flavour. As she suggests you could try thawed from frozen berries as an alternative. Thanks for stopping by!